We all should be proud of our local artists and support them. 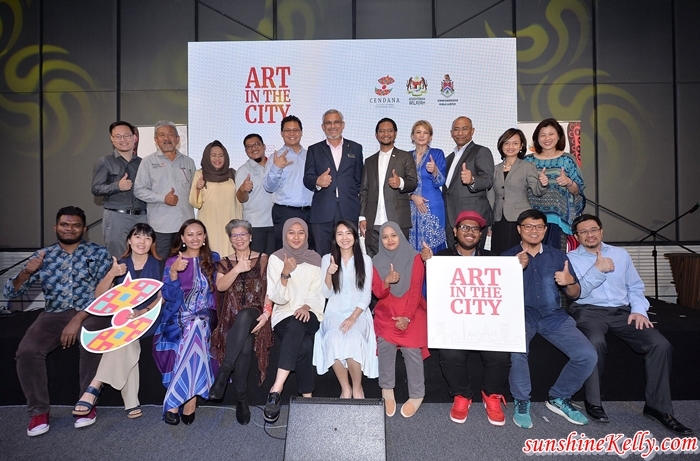 Recently I attended the launch of the Art In The City by CENDANA (Cultural Economy Development Agency) in a collaborative effort with the Ministry of Federal Territories and Kuala Lumpur City Hall at one of the hidden gem in KL. The launch was held at Jenerator an event space at KL CityWalk which is such a charm with umbrellas, hipster cafes and more. Amidst the historic Kuala Lumpur iconic buildings, Art In the City brings together the cultural backdrop and stories in our thriving city - transforming our landscape into a colourful visual experience as a must-see destination for art lovers. 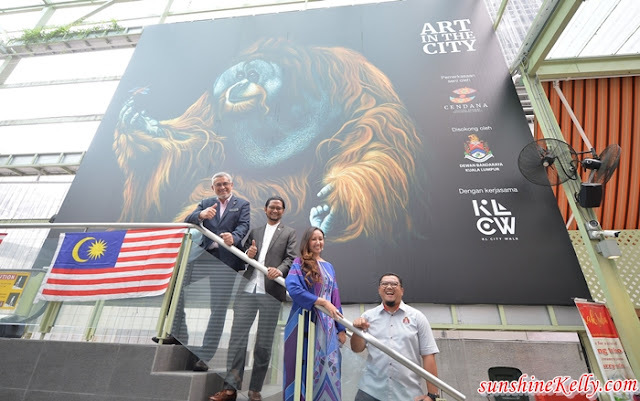 The Art In The City will feature 14 artworks from 13 legendary grassroots artists, their works will be showcased prominently at strategic locations with high visibility across the city with the aim to position and recognize Kuala Lumpur as a cultural and creative city. Arts and culture are the core ingredients in urban development and the fuel in making each city in Malaysia distinctive in its identity. The city’s success is dependent on our people and ideas. So basically, Art In The City is a 6-month long campaign with stunning outdoor visual display of local arts across Kuala Lumpur that serves as a strategic effort to promote the local arts community in expressing and showcasing their talents, while making art more accessible to the public. The campaign started in January 2018 with a call to local artists to submit works of art that represents Malaysia. Over 1,000 pieces were submitted and they were narrowed down to 30 by a panel of academics as well as arts and culture experts, after which the shortlist was opened for public voting. After highly competitive rounds of voting process, Art In The City will feature 10 artworks from Suzi Chua, Brindha Kumar, Samantha Cheah (YueYue), Syamsul Addenno, Nor Aziela binti Ahmad, ART:TECH, Natasha Iman, Ahmad Sanuri Zulkefli, Sivabalan Arumugam, and Jing Chung. Additionally, the outdoor display will feature 4 artworks from legendary artists such as Dato’ Mohd Hoessein Enas, Datuk Ibrahim Hussein and Kok Yew Puah, made possible by the National Art Gallery. Art In The City is designed to raise greater awareness of the local arts and cultural scene, and to encourage Malaysians to visit art galleries and museums around Kuala Lumpur, Art In The City strives to further propagate the notion of Kuala Lumpur as an upcoming cultural and creative hub. For maximum exposure of artwork to reach city dwellers, CENDANA worked together with Kuala Lumpur City Hall in strategizing locations of artwork display. This joint effort is to ensure optimum reach at high traffic areas in the heart of the city as well as areas adjacent to art galleries and museums. This is also made possible with synergised efforts with public and private partners involved in the effort, namely Ministry of Tourism, Arts and Culture (MOTAC), National Art Gallery, LEDTRONICS, KL Citywalk, PNB, Lot 10, Bursa Malaysia Berhad, Wisma Maran, Maybank Foundation, NSTP, Wariscan, and KL Hop-On Hop-Off.